If you're reading this, you're likely familiar with the term "subcompact," which in car terms, refers to a small car. What does small mean? What's the official difference is between A- and B-segment vehicles? Subcompacts and compacts? And what is a kei car anyway? Let's start our alphabetical journey on the small end of things. A kei car (pronounced "kay," an abbreviation of the Japanese word Keijidosha) is a vehicle class in Japan that falls under a certain weight, size, and engine displacement limit. Owners of kei cars receive a tax benefit from the Japanese government as well as special parking privileges. The kei car came into existence after World War II. It was brought about promote the growth of the country's automotive industry in a time where many couldn't afford a car. But the kei car was more practical than a motorcycle and offered an incentive to get people into cars. 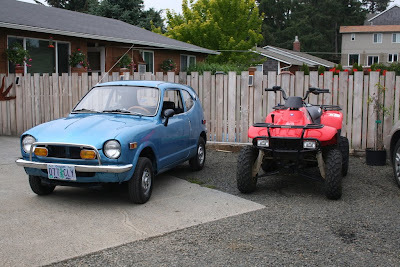 There have been various kei size, weight, and engine displacement regulations over the years. 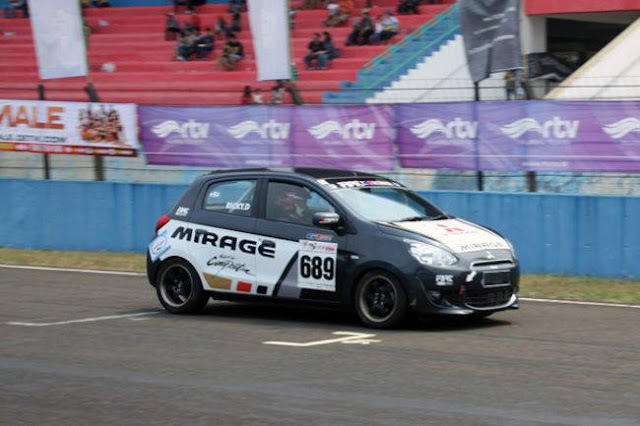 Currently, the vehicles must be no longer than 11.4 ft. (3.4m), no wider than 4.86 ft. (1.48m), have a maximum height of 6.56 ft. (2m), possess a maximum engine displacement of 660ccs (40.3 cubic inches), and have no more than 63 hp. There are kei cars in the U.S., however, most are for off-road use only. Most can be seen on college campuses hauling supplies or dirt for grounds work. Recently, kei vehicles have gained popularity on farms and ranches as a substitute for Side X Sides (e.g. Yamaha Mule, Polaris Ranger, etc. ), since kei cars have enclosed cabs, can be had with true four-wheel drive systems, and have heaters. Most of the above size classification is common sense, as there isn't a steadfast rule to which segment a car must be placed based on exterior size. There is, however, an official class size designator for all cars sold in the U.S., but it's based on interior and cargo volume, and is regulated by the Environmental Protection Agency (EPA). However, the EPA's classifications, which use interior volume, don't always seem to make sense. As vehicle styles and shapes change, the lines between car classes have become increasingly blurred, especially with automakers' ability to increase interior size, yet keep exterior packaging small. This is where things can become convoluted. 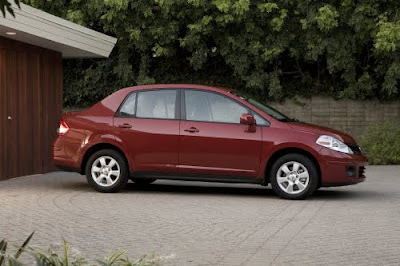 Take the 2010 Nissan Versa, for example. Dimensionally, it seems to fit the B-segment/subcompact class. However, the EPA classifies it as a mid-size car due to interior volume. Another example is the 2010 Dodge Challenger: The EPA says it's a compact. Clearly, if you park a Versa next to a Challenger, you'll see they are not the same size. In fact, they're not even close. The Versa is 169.1" long; the Challenger is 197" long. Anyway, my assumption is that the EPA's designators relate more to fuel economy purposes than exterior dimensions, but they're still unintuitive to me. Now that I've probably made this more confusing than it ought to be, let's step back a moment. 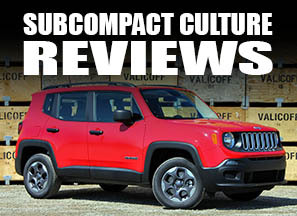 Most people just look at a car and decide whether it's a subcompact or a full-size, etc., by its exterior. Few people are going to argue about whether a Versa is a mid-size car or not—it's still pretty small on the outside. FYI, one guideline I tend to use (at least for subcompacts) is a vehicle's wheelbase. If it's under 100", then I typically say it's a subcompact. Of course, then there's the Nissan Versa again with 102.4 inches between the wheels. However, with car size classification, there always seems to be an exception to the rule. Unless you're the EPA, it's a common sense thing. Obviously a Yaris is smaller than a Corolla, but bigger than a Scion/Toyota iQ, so the Yaris seems to easily slot into the B-segment. The Accord is still larger than a Civic, so the Accord is going to be the D-segment vehicle. Unlike most machines these days, cars keep getting larger and larger. Many of today's subcompacts could have been considered compacts or maybe even mid-sized vehicles in the 1980s. But with the requirement for increased safety equipment, the demand for abundant standard equipment, and the desire to have more refined cars, the increase in vehicle sizes (especially in "small" cars) was bound to happen. Now we just need to figure out which classes to put everything in. EPA is fun! Versa hatch is a "midsize", Yaris hatch is a "subcompact". Wanna guess what a Fit is? "Small station wagon"! Seriously, there are two issues with the EPA size classifications. 1) They were developed in the '70s between oil crises when future cars on the drawing board were smaller but more space-efficient than then-current offerings, and it was assumed that cars would continue to shrink around their interior volume. (To a certain extent this happened - look at a Chrysler K-Car vs. a '72-78 Monaco. Similar room but the K was much smaller). 2) Likewise, in the '70s a station wagon was a station wagon. A few were on truck chassis with optional 4WD (in 1976 the number of full-size SUVs on the market dropped from three to *two* when International dropped the Travelall!) but the vast majority were cars. Longer, heavier and with lower final drive than their sedan counterparts (hence separate MPG ratings), but still cars. When I look at the Versa it kind of reminds me of a station wagon. It's bigger looking than the fit, but still tiny compared to mid and full sized sedans. It's sort of stuck in that happy in between! I feel bad for the Station Wagon. And the Mini Van. I think both were great ideas and really practical for what they were "called" to do. It's a shame they got shoved out of the spotlight by the SUVs (which, as far as I can tell, had no real advantage over the wagon or van). The early 90s was a dramatic change in the US, and shocked me as a kid. Excellent post! I certainly fall into the common-sense camp. I'm actually kinda surprised that we haven't started creating categories for cars based on fuel economy ratines. However, I wouldn't believe that anyways because the auto makers lie about it and the EPA is usually wrong based on real world driving from real world peole. Thanks again for clearning things up! Thanks for the information. In the auto industry we typically have measured class segments by overall length allowing for 10-12 inches between segments. This allows cars to be designed to their "package/interior" efficiencies given the length. An excellent example is the old Neon at 172 OAL with a 104 inch wheelbase. Clearly a C-segment length with a D-segment interior space. Chrysler's motto back then was "wheels to the corner" to allow for a visually fluid design line in the side and plan views as well as massive interior volume given the over all length of the vehicle. Min/Max vehicles is what we called them. Minimun length to Maximum volume.